Compare Prepaid Funeral Plan Insurance Quotes. Funeral plan insurance is important but we all choose not to think about death, but unfortunately this will happen to all of us. The last thing you want to think about when our love ones pass away is paying for funeral costs. 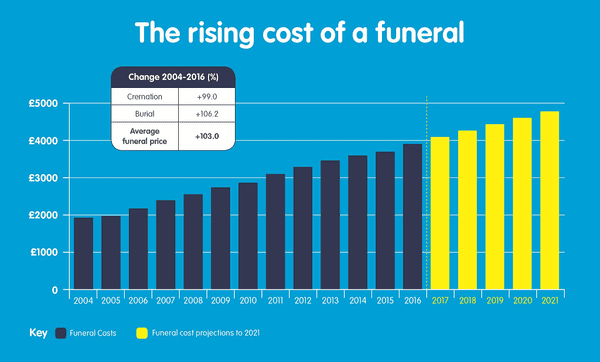 Throughout the years the average cost of a funeral has risen dramatically and is set to increase even more, making the average cost of a funeral these days around £3500. This being said, now is a really good time to plan a funeral as soon as possible. 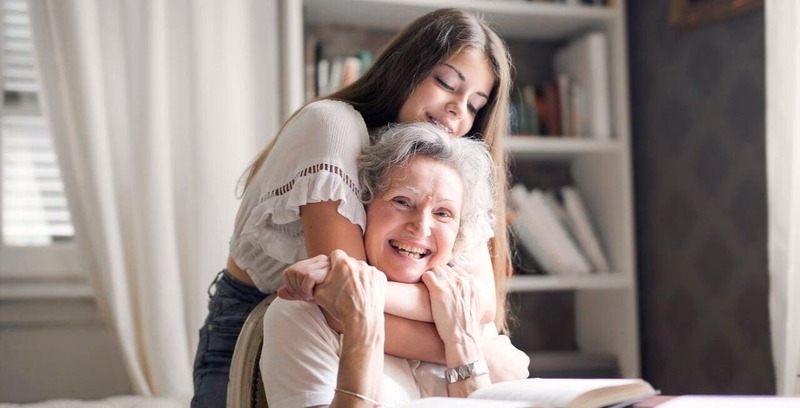 QuoteMeLess is here to help you plan this, helping to protect your loved ones from extra stresses, expenses and worries by taking out a new or existing funeral plan policy. We compare the cheapest funeral plans by using one of the UKS leading funeral plan providers. What funeral plan is best for you? Choosing the right funeral plan is important, this can boil down to cost. Different plans cover different costs, some plans will cover costs such as burial fees and cremation costs, while other funeral plans will cover transport, flowers and wakes. Our team can guide and talk you through what options are best suited to you through our panel of Insurance Brokers that compare funeral plans for all circumstances. Funeral costs are constantly on the rise and there is no chance of it slowing down. For years to come in excess of the annual rate of inflation. Looking at the facts it is unfortunate that many families cannot afford to pay for their own funeral, budgeting for a traditional funeral means that many of us may no longer be sufficient to cover all of the costs. The Bank of England drew a statement saying that the rate of inflation is 3%. By comparison, Sun Life Cost of Dying Report 2017 said that the average cost of a basic funeral rose from £3.897 in 2016, to £4.078 in 2017 - this is an increase of 4.7%. This being said, means that from 2016 to 2017 an average basic funeral costs has risen well in excess of inflation. Funeral Director's fees and services - Costs of services that the funeral directors provides themselves. Disbursements - Costs of services provided by external parties. Funeral director fees and services usually include such items as staff, collection of the deceased, preparation, care, guidance and transport. Our funeral plans guarantee states, that no matter how long a funeral plan holder lives, there will never be a an increase in cost and you are fixed at your funeral plan takeout cost. To receive your free funeral plan insurance quote all you need to do is click quote me now, complete the form and our brokers will do the rest of the work for you. Once our brokers have found the best funeral plan deals, they will email or call you. One thing we don’t think about is paying for funeral costs, but this can be expensive, especially if a loved one was to pass away unexpectedly. Our providers have pay monthly funeral plans that have been designed to suit all budgets with a range of payment options. 1. Freeze the costs of your funeral, helping you save more money from inflation. It’s also a chance to help put all of your affairs in order and help protect your loved ones from the expense and stress in the future by taking care of it right now. All of our pay monthly funeral plans will be compared with all of the leading providers to find you the best deals at the lowest prices. Be sure when taking out a funeral plan you make the policy as affordable as possible by spreading the costs by monthly direct debits. You can spread the costs from 12, 24, 36 or 60 months. If you are unsure if you should take out a prepaid funeral plan then please take a look at our FAQ'S and see if we can help you. What makes Quote Me Less different? Unlike most price comparison sites searching for online instant quotes we have gone a step further. We have teamed up with hundreds of brokers across the UK to help find you the cheapest funeral plans and deals for you. Best of all you will have your own FCA Registered independant financial advisor (IFA). When it comes to taking out a funeral plan your money is secure even though the FCA (Financial Conduct Authority) doesn’t regulate funeral plans. It is paramount that your investment is protected, safe and secure by complying with all current legislation as set out in the Financial Services and Markets Act 2000 ‘Regulated Activities Order’. All sums paid by the customer will be held by trust for the purpose of providing the funeral and that the following requirements will be met with respect to the trust. There are many benefits when taking out a prepaid funeral plan but here are a few reasons to why you should purchase funeral cover. It's a fixed price plan. All Medical conditions are accepted. Stay up to date with our weekly blog, funeral guides, well being, testimonials, videos, photos, expert opinions and much more.